DRUKARNIA OPEGIEK (limited company) has run business since 1992 in accordance with the rules of business ethics, environment protection and social needs. We specialize in beer labels production that stands for about 99% of our production. Other paper labels are produced for the food processing industry (soft drinks, juice). Our labels archive contains tens of thousands of designs. Our strength is the human potential of qualified management and personel with years of experience in printing. Most of our employees have been working in OPEGIEK since almost twenty years. In October 2016 we finished an investment related to reconstruction of warehouse and production hall. We have also harden road maneuvering and driveways. We built communication surface to the production – warehouse building. The new warehouse ensures optimum storage conditions of paper and labels. The company has experience in the use of grants under the EU structural funds. 1. Thanks to them we have purchased an innovative Shinohara printing machine 75 VIH + CCX + CP. The machine has six offset stations and 2 flexo stations adjusted to flexo inks, dispersion and UV lack. The machine is also adapted to cresing, perforation and paper double embossing. The project to buy a new machine has been implemented under the Regional Operational Programme Warmia and Masuria for 2007-2013. 2. Purchase of printing sheet machine with flexo-offset function, implemented under the Sectoral Operational Programme Improvement of the Competitiveness of Enterprises 2004-2006, Priority 2 Direct support of enterprises, Measure 2.3 Improvement of competitiveness of small and medium-sized enterprises through investments. The total eligible cost of the project: 3.585.250,13 PLN, amount of support: 1.117.163,94 PLN. In 2017 we bought automatic label production line (processing and customizing) co-financed by the European Fund of Regional Development as a part of Regional Operational Programme of Warmińsko-Mazurskie Voivodship for 2014-2020. Our priority is to enhance export growth through company internationalisation. The total project value is 2 380.368,26 PLN, amount of co-financing is 827.820,00 PLN. In 2017 we bought a technological label printing line in hybrid, flexo and offset technology co-financed by the European Fund of Regional Development as a part of Regional Operational Programme of Warmińsko-Mazurskie Voivodship for 2014-2020. The line is composed of sheetfed flexo and offset printing press, digital sheetfed printing press and sheetfed embossing and gilding press. Our priority is to implement hybrid flexo and offset printing technology of processed paper labels in order to significantly update the product range of our printing house. The total project value is 7.948.056,31 PLN, amount of co-financing is 3.617.981,08 PLN. Realization of all mentioned projects was finished with a success and contributed significantly to the development of the company. A measurable effect, of the above modernizations and investments, is a continuous increase in sales and improvement in the competitiveness of the company. 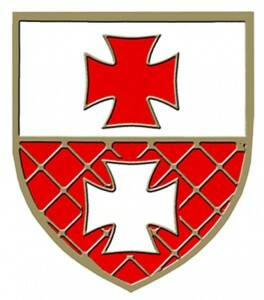 Since many years DRUKARNIA OPEGIEK Ltd. supports cultural and sport events in our city and region. These are for example: Summer Policy Gardens, Elbląg Spring Theatre, Baltic Cup International Dance Festival, Days of Elblag and many others. 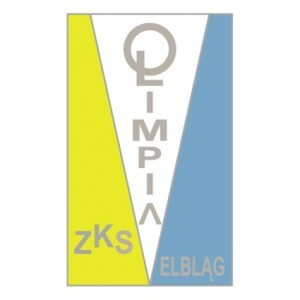 We cheer the football team Olimpia Elbląg. 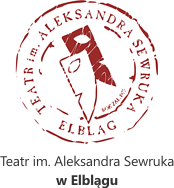 We cooperate and sponsor events organized by the Centre for European Meetings “Światowid”, Elbląg City Hall and Alexander Sewruk Theatre in Elbląg.